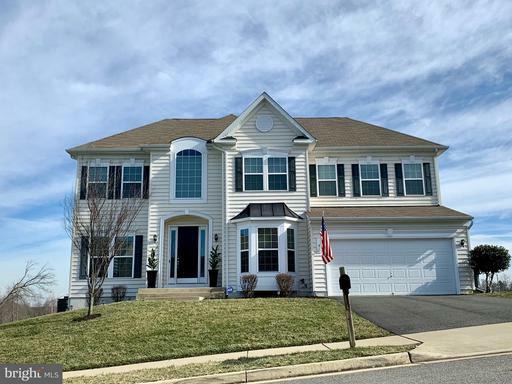 Open and super spacious, meticulously cared for, gorgeous 6BR, 3.5 Bath upscale colonial in new section of sought-after Austin Ridge. 3 finished levels with RARE 5th BR on upper level. Walk into the 2 story foyer, dual stair entry, living room, dining room office, hardwood floors all the bells and whistles done for you. Easy maintenance of all levels! Kitchen for a chef and plenty of space for entertaining and enjoy your coffee with a view on the outside deck. Run your business from home in the private office, high-speed internet ready. Upper-level master suite with luxury bath and walk-in closet for two. Dont forget the basement entertaining with wet/dry bar, entertainment area, super bright and includes a spacious and well-lit storage roomwalkout bsmt to unique tree/private yard. Manicured lawn w/sprinkler system. This home is a blend of luxury and quality. A MUST SEE!!! !